Latoya was born in Montego-Bay, Jamaica, and later moved to Jamaica, Queens with her family. She is currently pursuing an MD from Columbia College of Physicians and Surgeons. 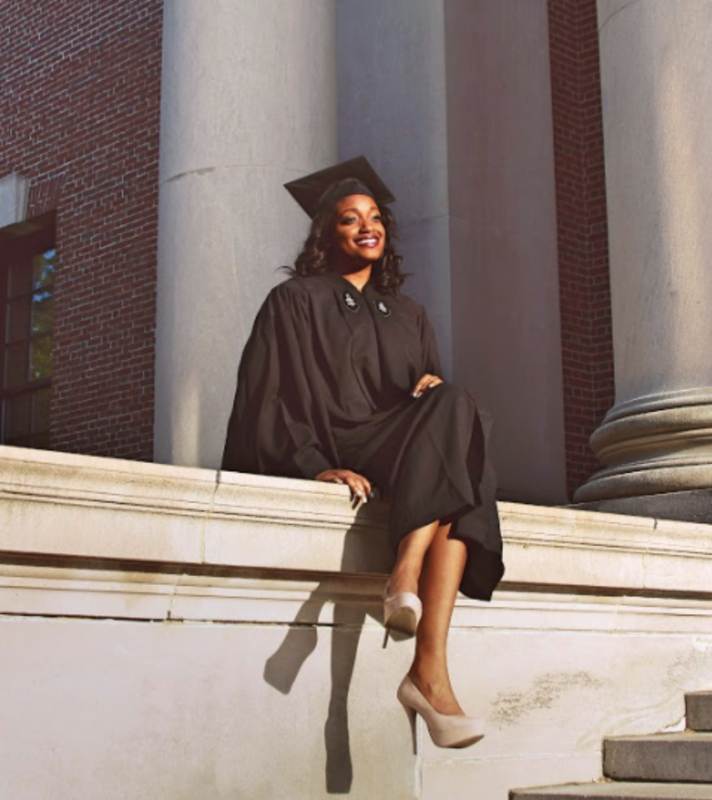 Latoya graduated from Harvard College in 2015 with a B.A. in Human Developmental and Regenerative Biology, a secondary field certificate in Global Health and Health Policy, and a citation in Spanish. As an undergraduate, she conducted research at the New York Stem Cell Foundation and at the Center for Regenerative Medicine at Massachusetts General Hospital. She wrote her senior thesis on bone metastasis development in breast cancer, and spent two years working on immunotherapy clinical trials at the Herbert Irving Comprehensive Cancer Center at Columbia. She also studied Political Science and International Relations during her semester abroad in Barcelona, Spain. Let's get started with the basics, Latoya. Where are you from? I grew up on the island of Jamaica where many weekends were spent enjoying the beach. What did you decide to study, and why? I studied Human Developmental and Regenerative Biology because I’ve always been fascinated by the complexity of the human body. I further explored this interest after spending my first summer in college interning at the New York Stem Cell Foundation. What are you up to now? How did you decide to pursue this? I’m currently pursing an MD/MS at Columbia! What do you imagine your life will look like in 5-10 years? Practicing medicine, traveling, and doing research but most of all happy and surrounded by family and friends. What’s a lesson you’ve learned from teaching? How to practice patience and that every student is unique and capable of achieving anything they put their mind to. Given the choice of anyone in the world, living or dead, which 3 people would you invite to your dinner party? What do you imagine you'd talk about? Oprah, Michelle Obama, and Maya Angelou, three wise, powerful and influential women of color that exude grace and confidence in all that they do. Working for the UN, becoming a dancer, and travel blogging. What advice would you give to someone looking to get where you are now? Stay true to yourself, reflect on your life and experiences often, and don’t be afraid to work hard for everything you’re hoping to achieve. Are you interested in working with Latoya, either in Boston or online? Want to learn more about our incredible team of tutors? Check out some of our previous tutor spotlights below!